Our guests may stay in the apartment with 2 double-bed rooms (extra bed possible), shared social room and large common room with a kitchen corner. The apartment is fitted with refrigerator, microwave oven, cook, fast boil kettle and TV-set. – Pets allowed upon agreement. – Outside gathering place with grill. – Breakfast possible upon agreement. – Indoor smoking not allowed. Fastfood about 3 km away. 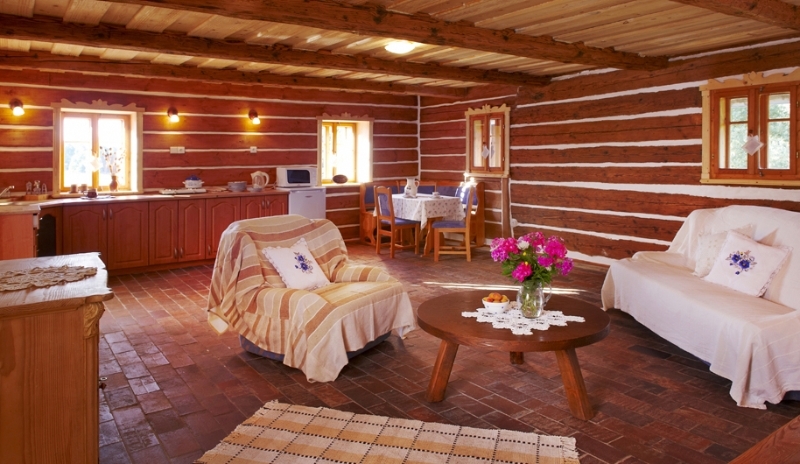 Pleasant sittings with good food is offered by restaurant in Srbská Kamenice (8 km) and Old Pub in Doubice (15 km). Make you and your kids happy and enjoy extraordinary moments experienced while exploring beauties of the Czech landscape from a horse saddle. All the services will be provided to you under the eyes of our experienced instructors with kind and calm horses. Training sessions are organized on an individual basis, upon mutual agreement, considering weather conditions, riding skills, physical and health condition of both riders and horses. Enjoy your vacation, holidays or weekend in calm ranch, in an immediate vicinity to nature and animals, where you can gather new strength to work and life being completely undisturbed. The main purpose of the Radana ranch is breeding of the American Paint horse breed. This year we are expecting two foals (father is the famous homozygous B/W stallion Emphys Dancing King) and as every year the surprise will be their coloring. We just can’t wait.